Frog Decor: Best Frog Everything for Your Home! Everything FROG for Your Home! Are you looking for the best frog decor for your home? Do you love EVERYTHING frog themed? I am crazy about frog stuff and that’s why I created this page today! 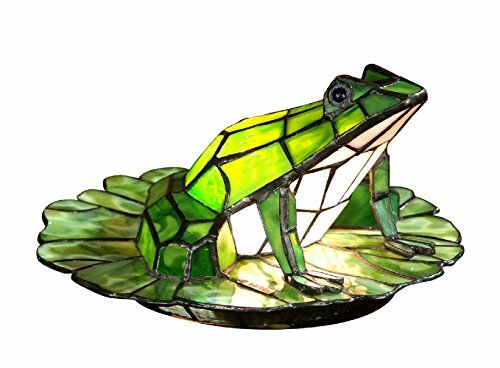 Here you will find some of the most unique frog home decor around, including the best frog lamps and the coolest frog garden statues ever! 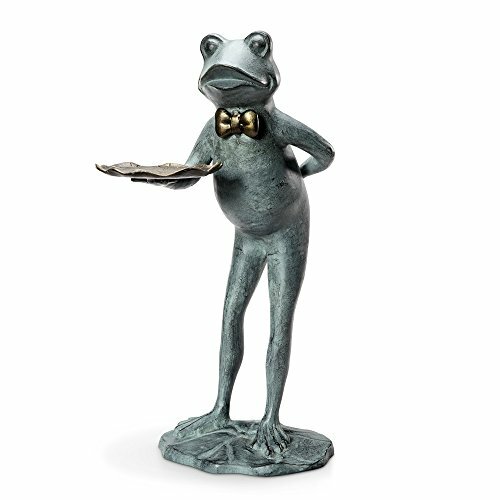 *How cool and very unique is this metal frog butler for the garden folks?? You won’t believe the other ones you are about to see on this page either! Stick around and let’s go frog decor shopping! Cute Giant Metal Frog Statues for the Garden! Fun Giant Iron Frog on a Swing! 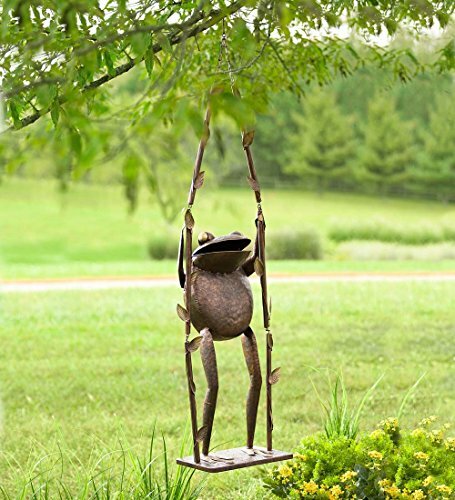 It is a giant metal frog playing on a swing garden decor statue for sale! Is that beyond cool or what? Is that the most perfect gift idea for a frog lover in the family you have ever seen? 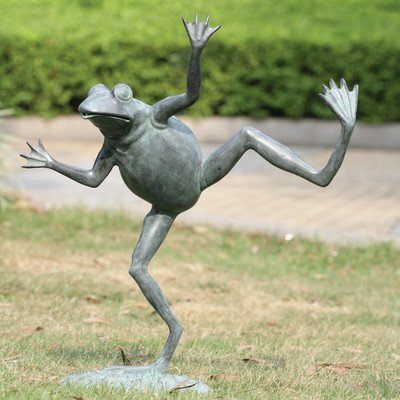 If you are looking for fun frog statues for your garden, then you are going to love this cool and very happy dancing frog sculpture! He is a very silly frog made of brass who loves to make people laugh! Wherever it is it is a happy place, because he has a nice smile on his face! He is going to your home! 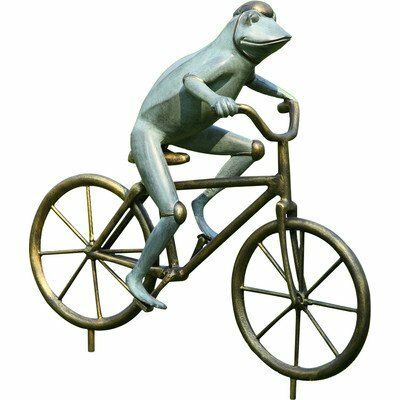 What a cute metal frog riding a bicycle garden statue! 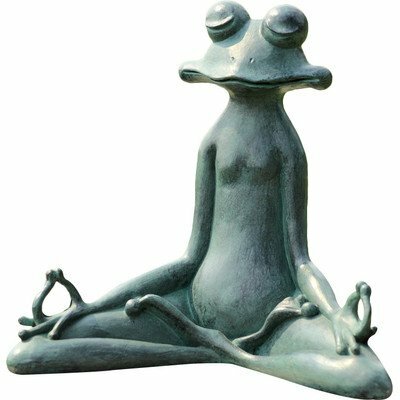 This is a funny, unique, cool, adorable yoga frog garden statue for sale! Your guests are gonna love him and maybe everyone will want to do some yoga too! *Very Unique Handcrafted Metal Frog Planter for Sale! 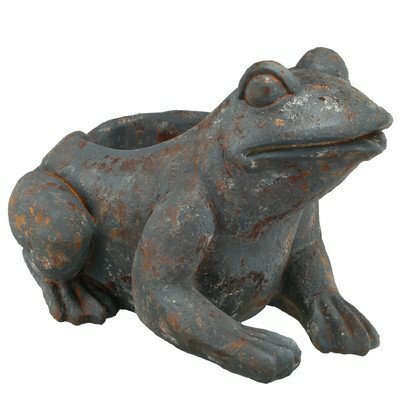 How cute and adorable, not to mention very unique, is this frog shaped metal garden planter for sale? He has a gorgeous antique finish! 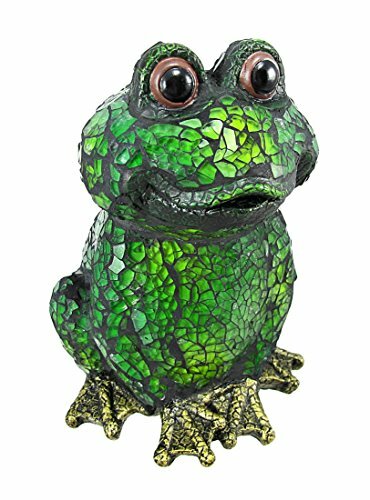 Great frog piece to have in your porch! Check this out fellow frog lovers! 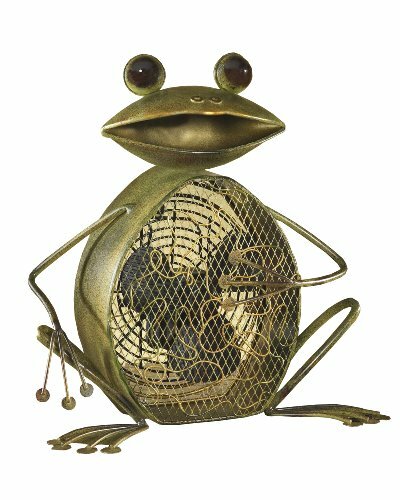 It is a very cool green frog metal fan! Yes, he is a real working fan that will keep you cool! He is very large too! What a nice frog home decor piece! *How about some Cool Frog Lamps? We can’t talk about frog decor without also including a few frog lamps in the mix too! 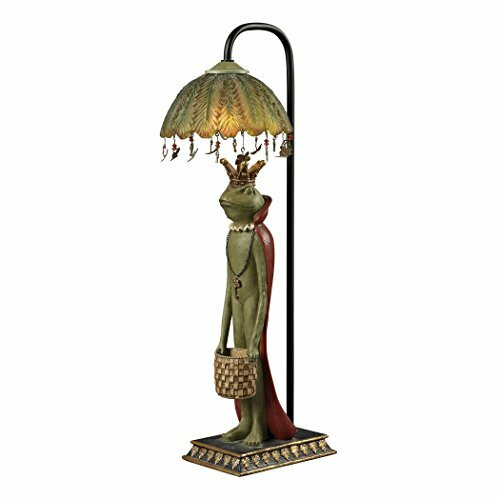 A gorgeous and very unique tall frog accent lamp for sale! Actually he is a KING frog! He stands over 20 inches and he will look absolutely amazing in your living-room! 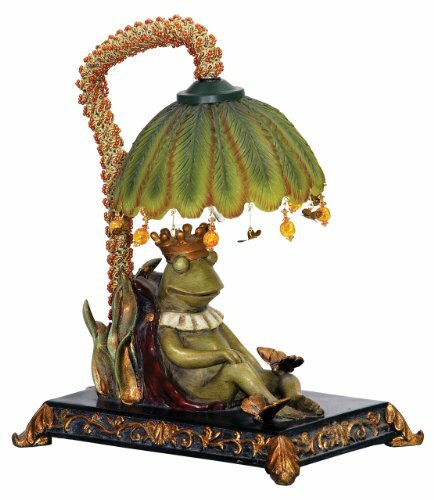 This is a beautiful sleeping king frog table lamp for sale! Very unique frog decor piece too. You can get two of them and have one on each side of your sofa! It is about 12 inches high. This is also a very popular frog shaped lamp to have! 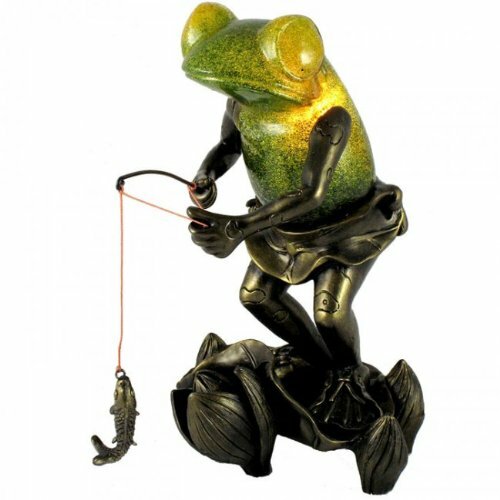 It is a cute fishing frog table lamp! He just got a nice fish! *Cute Green Frog Shaped Light! He has a lovely ‘frog glow’ too! Looks very cute anywhere you place him! Another ultra-cute frog shaped light! It is a Tiffany-style glass frog lamp! He is looking for true love! 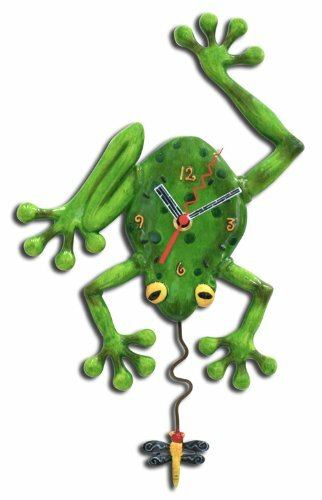 Fun Frog Shaped Wall Clock! She is about to become dinner! 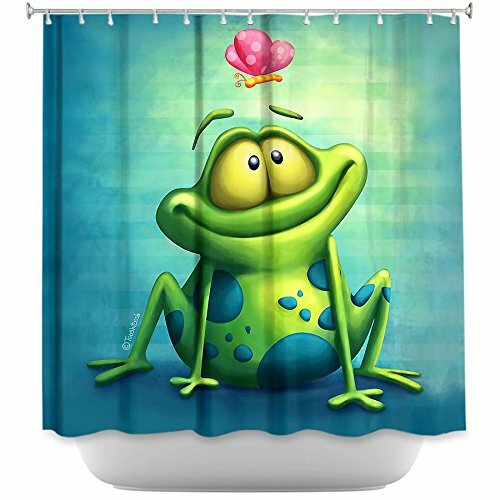 What a gorgeous, fun and very colorful, unique frog shower curtain for sale! Frogs love to take showers all the time! He is gonna love your bathroom! *I hope you enjoyed my frog decor pieces! I will keep adding more fun frog decor stuff as I find them!